Mayor Mike Palazzolo welcomed new City Attorney Mac McCarroll and new Alderman Scott Sanders to the board. During the Executive Session, changes were made to the agenda. Beer Board item 9.a. was pulled by request of the applicant. On Consent Agenda, two items were pulled from Consent. 10.d will become item 11 and 10.e will become item 19. 9. 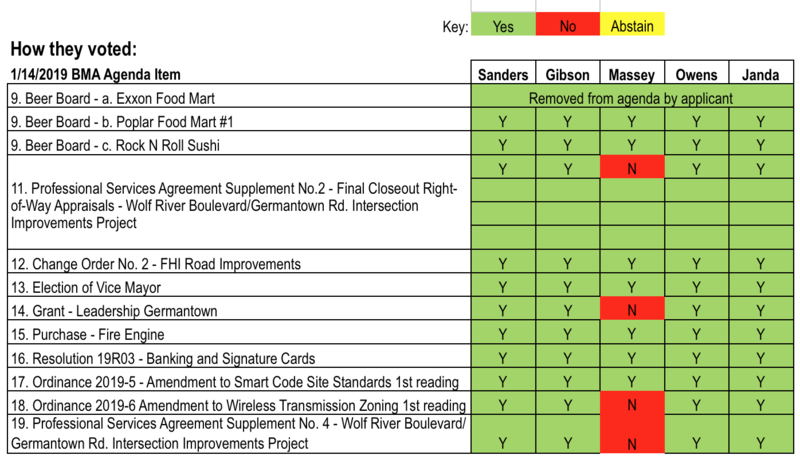 Beer Board – Poplar Food Mart #1 approved for off-premise use and Rock N Roll Sushi approved for on-premise use. 10. Consent Agenda -approved as amended.